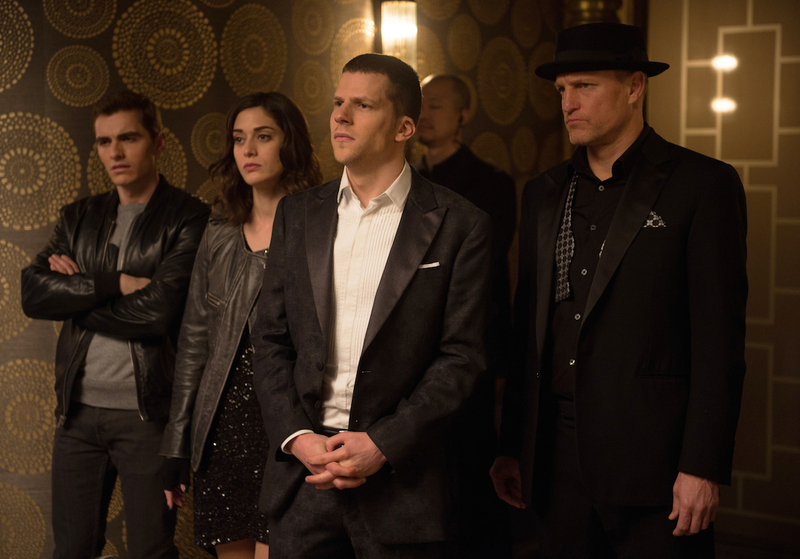 In "Now You See Me 2," the flashy, heisting magician quartet The Four Horsemen (Jesse Eisenberg, Dave Franco, Woody Harrelson, new addition Lizzy Caplan) are put back in action when threatened by a tech genius played by Daniel Radcliffe, while also being pursued by a magic debunker played by Morgan Freeman. 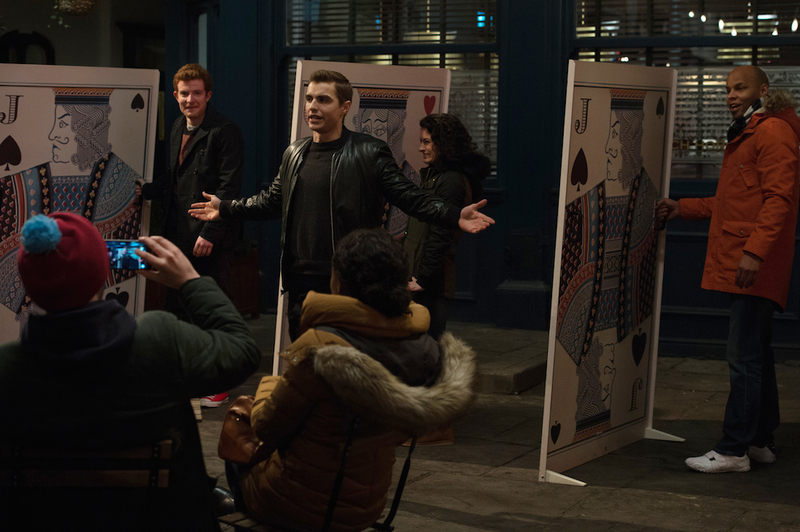 Expertly tossed cards, multiple identities and large-scale magic tricks abound, the latter presented as a public phenomenon whenever the group has a large audience (their heists are magic shows for everyone to see, and to see how they pulled everything off). Taking over from original director Louis Letterier is pop filmmaker Jon M. Chu ("Step Up 3D," "Jem and the Holograms"). Mark Ruffalo, Michael Caine, Sanaa Lathan and Jay Chou co-star. After his first film role in 2007, Franco made a name for himself with scene-stealing supporting roles, like in the successful comedy blockbusters "21 Jump Street" or "Neighbors." His upcoming projects include a part as Montgomery Clift in the Hollywood story "Zeroville" and a lead performance as "The Room" actor Greg Sestero in "The Masterpiece," both directed and starring by his brother James. 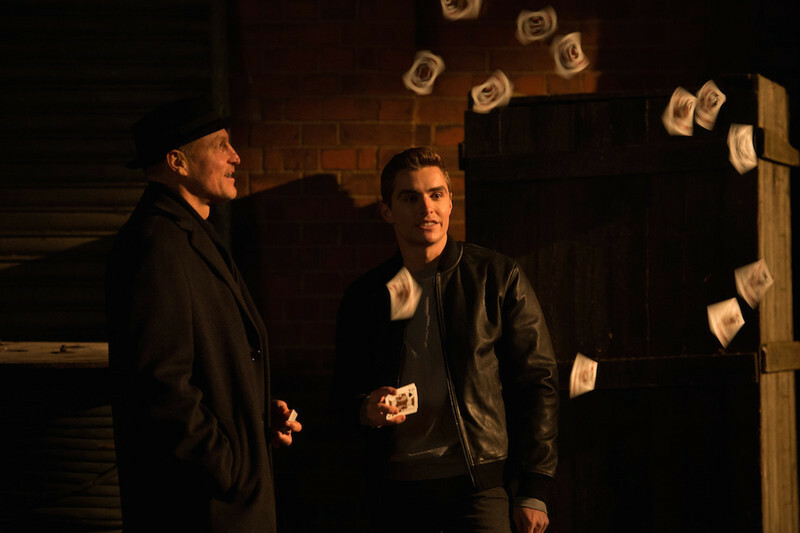 RogerEbert.com sat down with Franco to discuss "Now You See Me 2," what he thinks audiences respond to most about the now-franchise, putting a lot of work into a little screen time, why he thinks "The Masterpiece" should win awards and more. Thanks for talking today, Dave. No pressure, but every interviewer in Chicago has been amazing. You guys have clearly done the research. I'm hearing different questions and for the past three days I’ve just been answering the three questions over and over. Again, no pressure. I’m trying to figure out whether to start with a really dumb question now or not. Yes. Luckily I have worked since, because after that movie came out for a long time I had people yelling “Why don’t you go piss your pants?” at me. And if I never worked again, that would have followed me around my whole life. It’s one of those things where I’m in the movie for seven seconds, but the movie’s so ... it’s just this iconic movie that has caught on, that again while I was filming it you could never anticipate that. I’m just happy to have been a part of it, and happy to have infiltrated that world of comedians even in the slightest way. With the “Now You See Me” franchise, what do you think audiences most respond to about an ensemble action movie not about superpowers, but a Robin Hood idea too? There’s obviously so many superhero movies, and sequels and remakes these days that it is refreshing when there is a movie that comes out and works and that has its own tone. I think the tone is what people most respond to. Even if you don’t love these movies, I think everyone has to admit they’re a good time. I guess it’s just the mindset you have going into the movie. If you come in and you want to pick apart every little moment and question the logic of every scene, then you might not love the movie. But if you sit back and enjoy the experience and let it wash over you, you’re gonna love it and say that was an incredibly fun time. It’s a fine line. And what we try to do on our end is, we make sure that every trick in the movie is something that a real magician can feasibly pull off, even some of these crazier visuals like Jesse with the rain. That’s a real trick-- obviously it’s on a grand scale in this movie and it looks insane, but that is based on a real trick, as is every trick in the movie. We wanted to keep it grounded in that sense. Obviously you need to rely on CGI to make it a spectacle. That’s the difficulty about making a movie about magic! You can use so many camera tricks obviously, but we as actors try to learn as much magic as we could, so that whenever possible we would be performing certain tricks on camera so we wouldn’t have to rely on CGI. Watching these films I am reminded of the Alliance of Magicians from "Arrested Development," who viciously ex-communicate anyone who reveals how tricks were done. But it's something you guys have to do for your audience. Exactly. It’s a fine line. It’s a weird balance where these movies shouldn’t work, and have no right of working, but they do. And I think a lot of that is that we don’t take ourselves too seriously in it, and if it was this extremely earnest movie about magicians, I think it would fall apart immediately. I think most people are walking away probably talking about how much they enjoyed the chemistry between everyone, because we all genuinely love each other, and we hope it comes through on screen, and I think that’s what provides a lot of the fun for the audience. So when you do get the call a few years back to make a sequel to "Now You See Me," you’re truly excited. Absolutely. I’ll do “Now You See Me 37” if they let me. I’ll continue to do installments of this movie because I want to hang out with people from this movie as long as I can. Let’s talk abut director Jon Chu. He’s one of the pop-iest filmmakers out there. What is it like to be on a Jon Chu set? I genuinely love Jon Chu. The main thing I think about when I think of Jon is his energy. He’s so calming and mellow, which is so important for a movie like this. The nature of this movie, there’s so many actors in it, you need to get so much coverage. There’s these huge set pieces, these extremely long days, and you have someone like Jon Chu at the helm, who just makes sure that everything goes smoothly and that no one is spinning out of control. And he’s an extremely visual director, and what I love about him is that he really cares about the characters. And in this movie, I think even more so than the first one, you get to know who these magicians are and you get to see them behind the scenes and see them at a little more vulnerable and a little more human. And I respect Jon for allowing a handful of moments where you get to really breathe to get to know these characters. Even with his Justin Bieber movies, he took this movie that a lot of people would think “I would never see this movie,” but he turned it into something really interesting. He gave the Bieber movies a huge scope, which seems to be what he brought to this. Or visual intricacies, like the scene here in which you're all throwing around the same card. Yeah. And it’s not an easy movie to pull off. It’s a really specific tone, balancing comedy, action and some serious moments. And I give him a lot of credit for walking that fine line and making it work. Taking place not long after the original, this movie didn't feature Isla Fisher from "Now You See Me," but it did bring in a new talent, the often hilarious Lizzy Caplan. She was the perfect addition to this cast. She is absolutely fearless. If I were her, coming into the second movie as the new kid, I would have reverted into myself and kept my head down and tried to get through the day without anyone noticing they made a mistake by casting me. But she came in swinging. She honestly made us all raise our game, she came in with this fresh energy and was improvising all over the place and made us all have a better time on set. Can you toss cards? What practicing have you done? I’m weirdly good at throwing cards now. In the first movie, I used card throwing as a weapon to fend Mark Ruffalo off. And if I didn’t become proficient at throwing cards, then I would have just been fluttering these cards in front of his face and it would have been a joke. But I really put in the time on the first one during my free time. I’d be in my apartment in New Orleans with stacks of cards, literally throwing cards against the wall until my arm went dead. So in this one, it’s like there’s more card throwing and I wanted to up the ante a little bit, and a few different ways to throw a card. I can now with a full deck in my hand, I can use my thumb to propel cards off the top of the deck where it spins at you. I can spin it in the air and catch it in my mouth, skills that I’ll never use again in my real life, but hopefully they look cool on screen. I spent so many hours learning how to flip a card and catch it in my mouth, and it’s on-screen for point-six seconds. What energy did Woody Harrelson bring to the movie? This time he's playing two characters, which gives the movie an unexpected oddball nature. You put those fake teeth in his mouth, and he just goes crazy. It makes him kind of want to just embrace the grossness of the character. He would really do whatever he could to gross us out with the teeth, where he’s just running his tongue back and forth across them, or chomping his teeth down mid-scene. I think they cut a lot of that out, but Woody Harrelson is legitimately one of my favorite actors. He can do it all. Do you prefer his crazier side or the "True Detective"-like side? He can do no wrong in my book. With “True Detective,” he’s brilliant in that role. And the whole time I was watching it, I was wondering what it would have been like if [Harrelson and Matthew McConaughey] switched roles too, and I think they would have killed it the other way. But then you think of Woody in “EdTV,” and he kills it. Woody can do no wrong. In the upcoming Hollywood drama film "Zeroville," directed by your brother James, you're playing Montgomery Clift. Did you have to study a lot of Clift films for the part? Yeah, but it was tough because I was only in ["Zeroville"] for maybe two minutes. But I wanted to do justice to who Montgomery Clift was, so I watched all of his movies and did as much research as I could and read his autobiography, all for this two-minute role. I might have put too much pressure on myself, I don’t know how it turned out. Do you normally like to prepare for a role? If it's a movie that can be prepared for. If there is room to learn about the character that you’re going to portray, absolutely. I want to feel as prepared as possible. It’s almost for your own mentality. You come in thinking, “I know I’ve done the work I can,” and then in most cases I’m going to forget it all. But it just makes you feel comfortable and safe, and it ingrains itself somewhere within you. Are there any characters from your past that you think about more than others? Or you look in the mirror and you think, "Oh, I remember that?" Um, not really. I’m not the type of actor who goes home at night and can’t get rid of the character. I’m pretty good at turning it on and off. Do you think with a really dark role, that would be the case? Who knows. That’s something that I’m interested in, doing something more serious. But that being said, I don’t want to have my next five movies be these serious movies and then all of the sudden [I] become this dramatic actor who’s crying through every movie and who is having to just work themselves up before every scene. That just doesn’t sound as fun to me as coming to set and trying to make each other laugh. Do you kind of have a constant idea of what your image is as an actor? Well, from an outsider image, how would you describe me as an actor? Well, I think you’re pretty funny, like in "Neighbors." But could you--this might be tough for you to answer in front of me—but do you think it would be tough to accept me in a serious role? And I hope this is the reason for it, that with my brand of humor, it’s not like I’m the super goofy broad comedy guy. My humor comes from just being put in a bizarre situation and playing it as real as possible. So in my mind, I think I can make that leap. I just don’t know what audiences will think. That being said, I have this movie coming out at the end of the summer called "Nerve” that is definitely more serious, and I don’t think I’m funny at all in that movie, and hopefully people can accept that. That will be the first test. As much as I do love doing comedies, I do want to explore other genres too, which I have been recently. It’s fulfilling for me and the audience as well, where I can do things outside of comedy. I have to ask you about another upcoming lead role for you—“The Masterpiece," James' film about Tommy Wiseau making "The Room." I need to see this movie. Dude, it’s good. It’s unbelievable that they allowed us to make this movie. And this one isn’t an easy one to make. Because you want to make it in a way that super fans [of "The Room"] will love it and be able to take away these tiny moments, that you can only appreciate if you’ve seen the movie multiple times. But, you want it to be accessible enough for people who have never even heard of “The Room,” and so it is this weird balancing act. But I’m telling you, I saw a cut of it recently, and it works. And my brother should win awards for this role. And like, we treated it very seriously, we didn’t want to make this broad comedy, we wanted it to be true to the story. And it's weirdly touching and inspiring. How many times did you watch "The Room" to study for it? Many times. I read the book a couple times, met with Greg Sestero as many times as I could. I think we're aiming for Toronto or Sundance. To put all of that emotional perspective to the Tommy Wiseau myth is exciting. And my brother really humanizes Tommy in the way that you feel for this guy and you’re rooting for him and you hate him at points but you love him. It’s tragic ... this role is tragic. You’re gonna love it. I give the studio so much credit for not only letting us do it, but be hands off and allow us to make this weird movie that thank god it works. Next Article: A Movie is a Work of Art: An Interview with Brian De Palma Previous Article: Out of the Box: Christopher Duddy on "It's So Easy and Other Lies"